Thoughtful gifts that will pick up your name retention and please any golfer. 1 golf ball with 8 biodegradable tees. Clear containers with black caps and base. Tees: Pad Print (One color imprint only) Set-up charge $50(V). Re-order set-up $30(V). 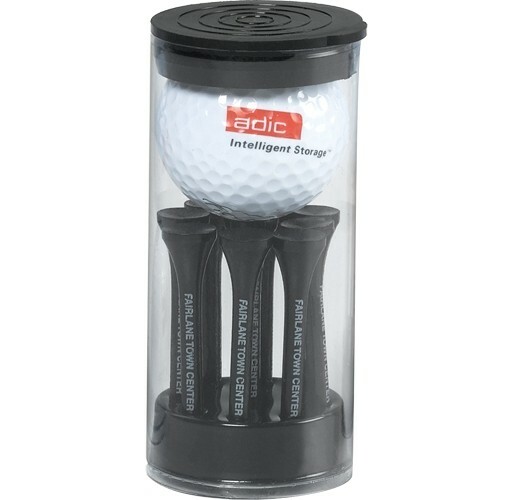 Golf Ball: Pad Print Set-up charge is $50(V) per color. Additional color run charge $.16(V) each piece. Re-order set up per color $30(V) (Run charges apply).